Maximising Rider Confidence and Machine Performance. Through continuous testing, customer feedback and working with companies such as WP Suspension, KYB and Showa we've established a vast range of suspension solutions for Motocross and Enduro riders. Regular servicing keeps your shock working at it's optimum performance level. Personalised valving and spring upgrades give you the confidence that the bike is going to do what you want it to do, not what it wants to do. We offer a full range of suspension servicing and re-valving for Custom Axis, JRi and Showa ATV shocks. A good quality shock has a smoother and more accurate response, better bump absorption and improves traction. 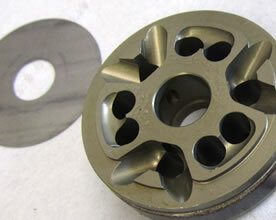 During a service the shock is fully disassembled, thoroughly cleaned in a three stage process and inspected for wear. 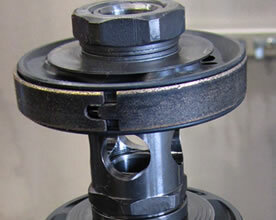 Shock shafts are polished to remove any pitting which could damage seals, and reduce stiction. 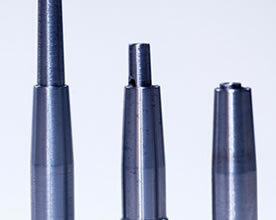 If necessary shock bodies are honed to improve sealing. The components are measured for correct tolerances and the units assembled using genuine manufacutrers seals and bushes. 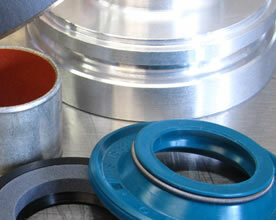 The highest quality shock fluid is used and where possible shocks are filled using a vacuum filling machine. Suspension performance deteriorates gradually over time, you often don't notice how bad it's got until there is a significant drop in performance. Regular maintenance ensures that the suspension components are working at their optimum. The starting point in upgrading any off road shock is ensuring the spring rate matches your weight, riding style and the terrain you are riding on. 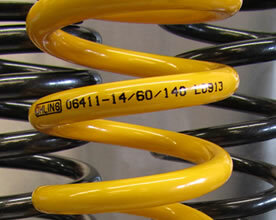 The correct spring rate maximises the shock travel and helps maintain the geometry of the bike. We can supply a full range of spare parts to keep your WP, Ohlins, KYB, Showa, Marzocchi or Reiger shock working at it's optimum performance level, from service parts such as seals and bushes to shafts and bodies. We can also spare parts for Custom Axis ATV shocks. 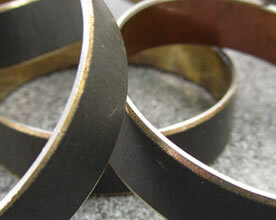 An extremely low friction high quality replacement piston ring to fit 50mm KYB, Showa and WP shocks. Stock piston bands particularly on Showa shocks have a massive amount of stiction, this low friction piston ring allows the shock to react far faster giving increased wheel control and improved grip. The biggest problem with WP PDS shocks is that they lack progression, they are either too stiff on the small bumps or they bottom out on the big ones. The telescopic needle has an innovative design that is much longer than stock, gradually tapered, and collapsible. This gives a much smoother more progressive stroke allowing the bike to track over the bumps more precisely and prevents the shock bottoming. We have also found that the shock rides higher in the stroke improving the steering of the bike.